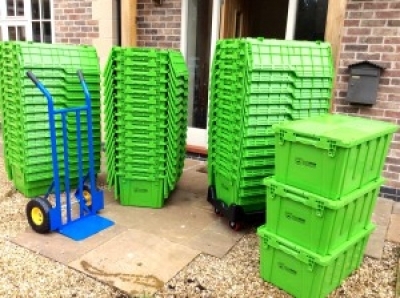 Crate rental service providing plastic removal boxes to house and office movers. Its the affordable environmentally friendly alternative to cardboard boxes. Our boxes are industrial strength with lids that fasten and can be stacked to make moving easier. We are able to take online orders and provide a free delivery and collection service within Leicestershire and Rutland. we also supply moving accessories and packaging.